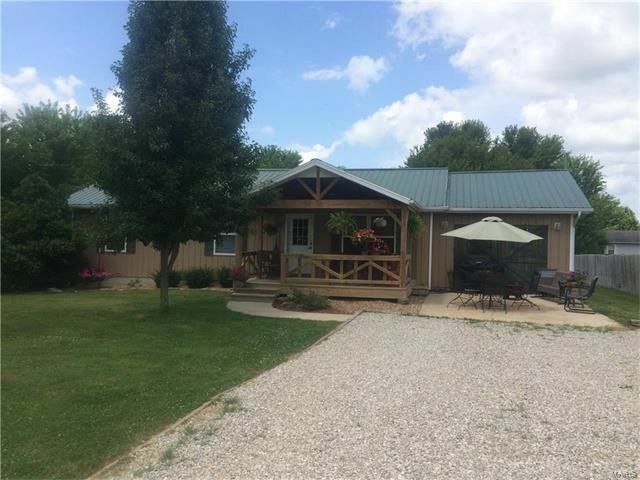 LOOKING FOR A GREAT HOME WITH SMALL ACREAGE AND WORKSHOPS JUST OUTSIDE OF THE CITY ...THIS IS IT !! THIS RECENTLY UPDATED 3 BEDROOM 2 BATH HOME WTIH 2- 30 X 32 GARAGES OR WORKSHOPS WITH CONCRETE FLOORS, THIS HOME OFFERS A VERY OPEN KITCHEN LIVING AND DINING AREA. THE LIVING & DINING ROOM HAS HARDWOOD FLOORS AND A CORNER GAS LOG FIREPLACE. THE KITCHEN OFFERS TILE AS WELL AS THE HALL WAY LEADING TO THE BEDROOMS. THIS HOME HAS NO CARPETING MAKING IT EASY TO CLEAN AND MAINTAIN. LARGE WALK IN PANTRY, LARGE FRONT COVERED BEAMED PORCH AS WELL AS A LARGE REAR COVERED PORCH. FENCED IN YARD. NEWER METAL ROOF AND CENTRAL HEAT & AIR. THIS HOME IS LOCATED LESS THAN 5 MINUTES FROM TOWN ON A QUIET DEAD END STREET. THIS HOME IS PRICED TO SELL ! !